For the past year I've enjoyed a Woodland Trust family membership for myself and my grandchildren. We're enjoying another year of exciting adventures too! 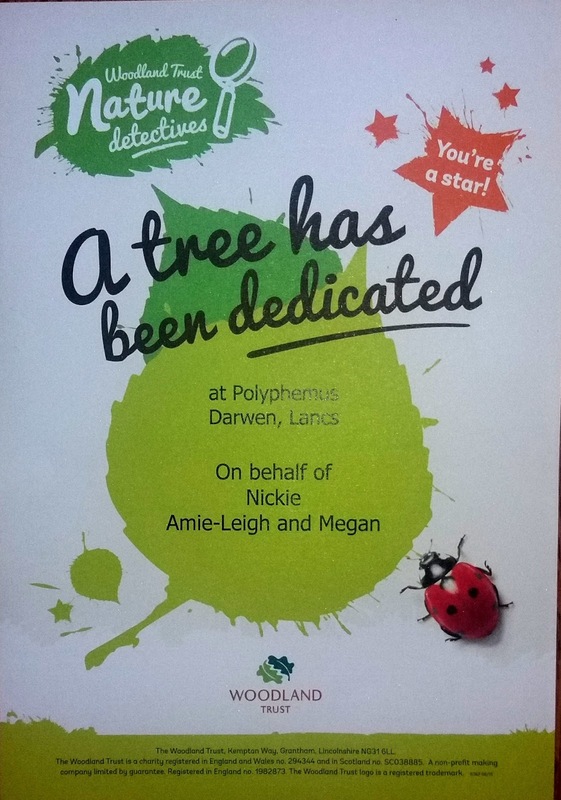 We are enormously lucky to live within a short distance of a number of Woodland Trust woods but also to have our very own tree dedicated to us at Polyphemus in Darwen, Lancashire where, in 2007, two thousand trees were planted on the 40 hectare site. The Woodland Trust is the country's largest conservation charity who protect and campaign on behalf of woodland areas, plant more trees, restore ancient woodland - all for the benefit of wildlife and people. Having this membership is a great opportunity for us to get out and explore nature. Every few weeks, the grandchildren get their own pack through the post which is packed full of seasonal activities, puzzles and information. There's an endless amount of information and ideas on the Woodland Trust website - and a family membership makes an ideal gift for the whole family, especially if you're already an outdoorsy type - and if not, what a great way to start! Find out more about how you can support The Woodland Trust with a membership, a donation or a dedication. 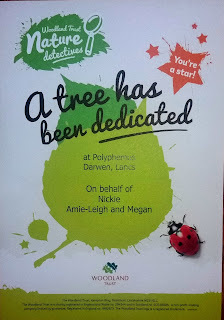 For more information about my partnership with The Woodland Trust please see my disclosure policy. I have received a year's family membership to help promote their cause and have also gifted four family memberships to friends to help continue the campaign. You can read more of our adventures here. Look out for regular updates on my Facebook page and Instagram.